New LED lighting system designed for inline installation. Sigma LED has been produced for multiple types of diffusors with an emphasis on simplicity of mounting. 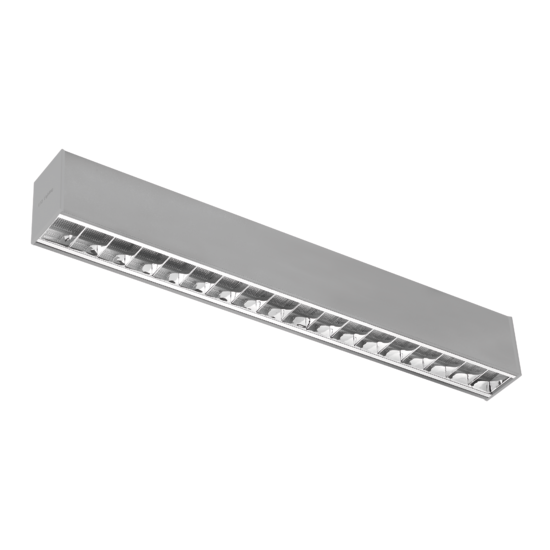 Sigma system uses modern solution designed by PXF Lighting, merging benefits of LED and traditional louvers, reducing glare rate of the luminaries. It’s an elegant and efficient luminaire for lighting offices, conference rooms, receptions and other working spaces. Attention: possibility of mounting "Active+" - self-learning energy saving system. Active+ is an out-of-the-box standalone solution consisting of an LED driver and small sensor built into the luminaire. Luminaires fitted with Active+ solution are ideal for refurbishment projects, as well as for new offices, corridors, open plan areas, etc. Materials: Electrostatically painted aluminum profile (standard color: grey), parabolic louver with microprismatic plate (PAR), microprismatic diffuser (MPRM) made of PMMA or OPAL diffuser made of polycarbonate. DI-IN version: top diffuser - OPAL. Installation: Suspended, surface mounted (only DI versions). Accessories: End cap made of PC with logo PXF Lighting, clean end cap made of PC, invisible linear joint, suspension (simple, electric). Only for DI version: masking cover and NT joint. 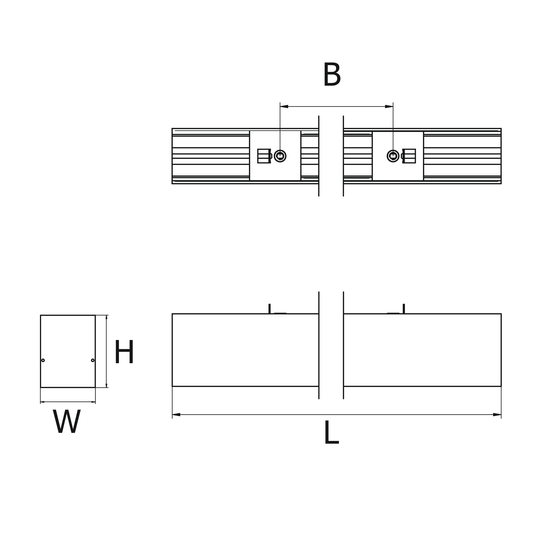 Joints for suspended installation are included in the set with the luminaire.